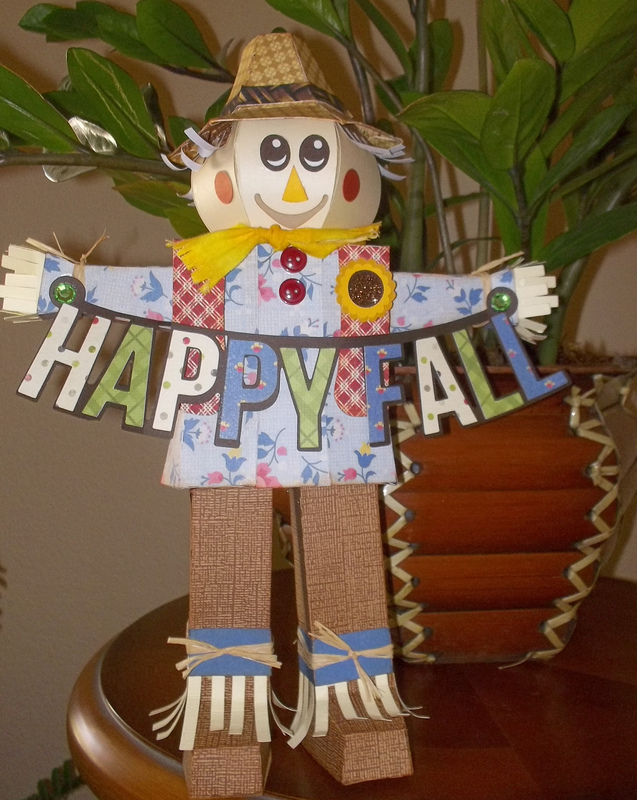 I have to admit Fall is not one of my favorite seasons so I thought it might help if I made a cute scarecrow to kick off the season. He’s so darn cute I think I’ll make a whole corn field full. Hello, hello my friends, so sorry for being absent from my blog posts for so long. Just needed to step away for a little while but now I’m back. Hope all is well with everyone and you’ve all been busy crafting and creating wonderful things. I wanted to share with you a quick little Flip Folio Album I made for a dear friend who’s getting married soon and honeymooning in Hawaii. I hope she likes it. 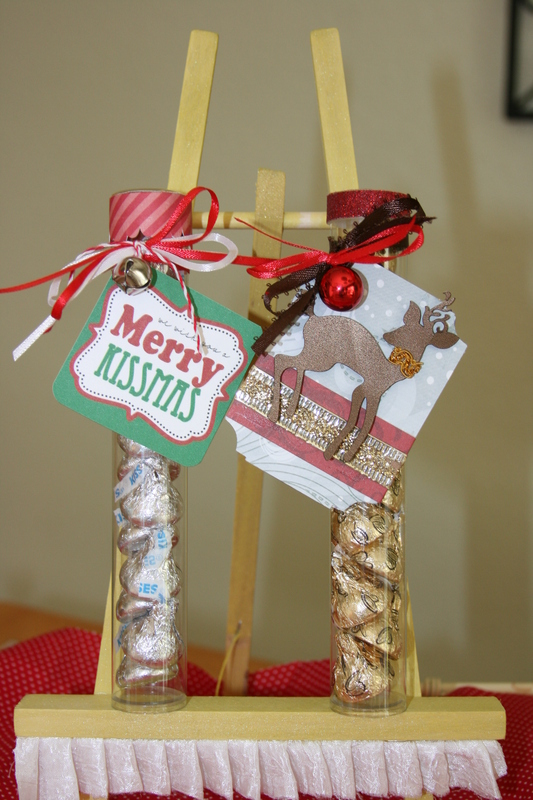 They are really fun and easy to make. I will be making a Christmas one over the next few days and will post pictures to share with you. Let me know what you think and if you’d like to learn how to make one. Front cover has a cute magnet flower closure. Inside has a pocket with a few tags and the flip album part holds spots for several photos. 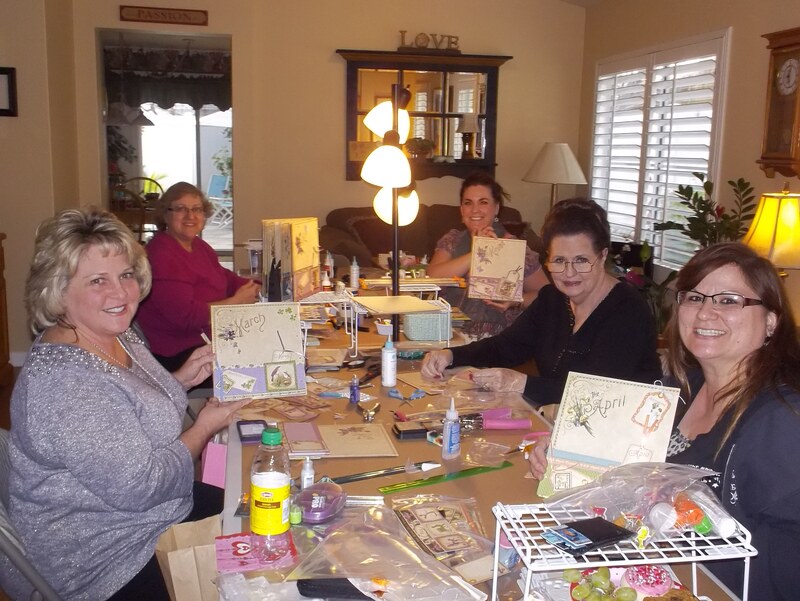 We had a great time Saturday making the Card Organizer Albums. You girls did a fantastic job. We even had a few new students join us and they did a great job, so glad you came Barbara & Dyann Thank you all again for coming, I really enjoyed having you over for a fun afternoon. Ready for round 2 on February 22nd. Always take time to create “Sweet Memories”. 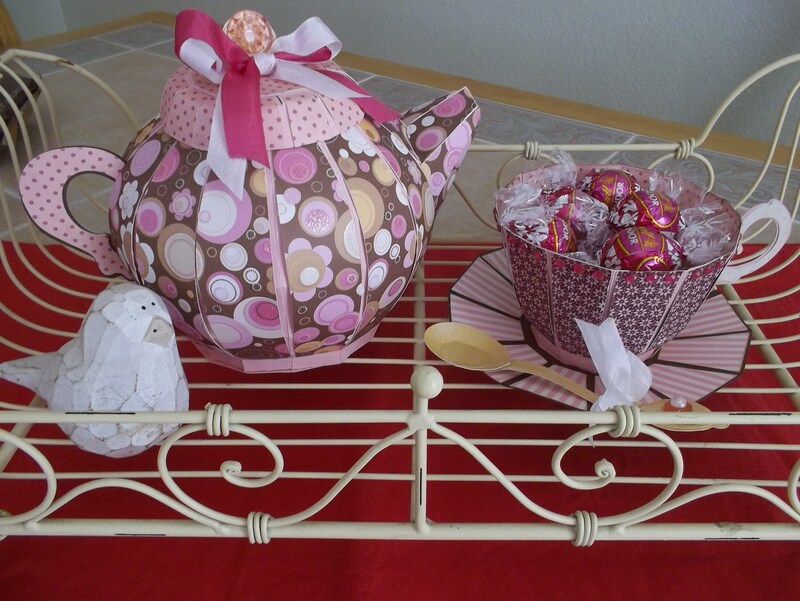 Just finished making this darling teapot and teacup. 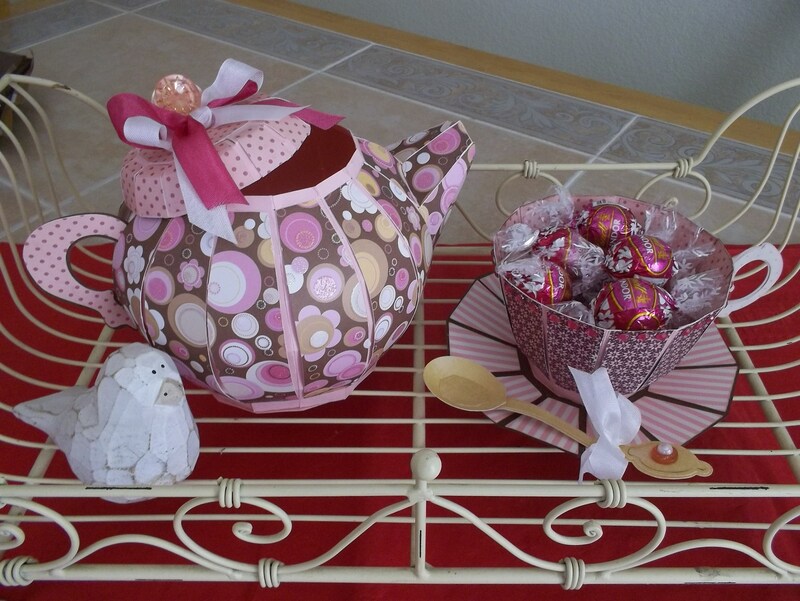 You can even put something special inside the teapot and it instantly becomes the perfect one-of-a-kind gift. 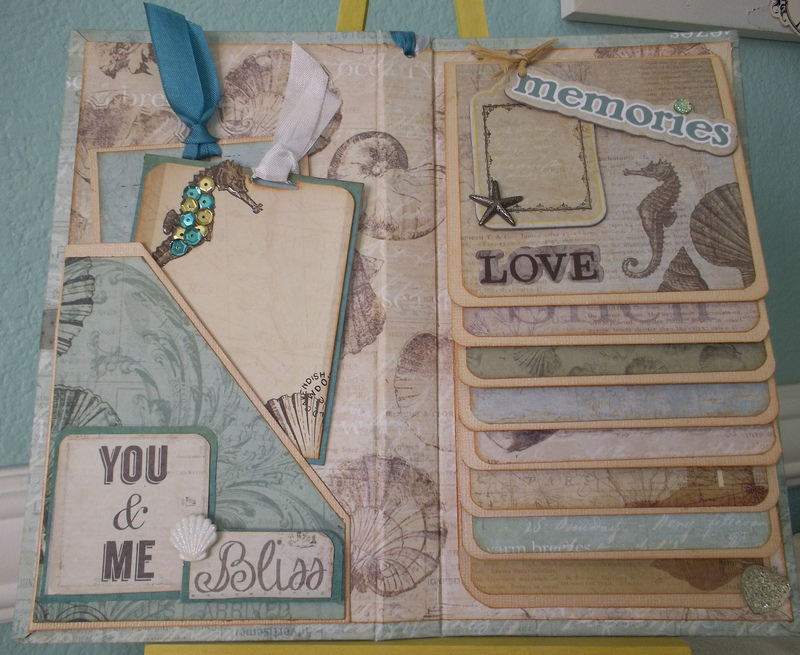 All ready for the first class to make this Card Organizer Album. 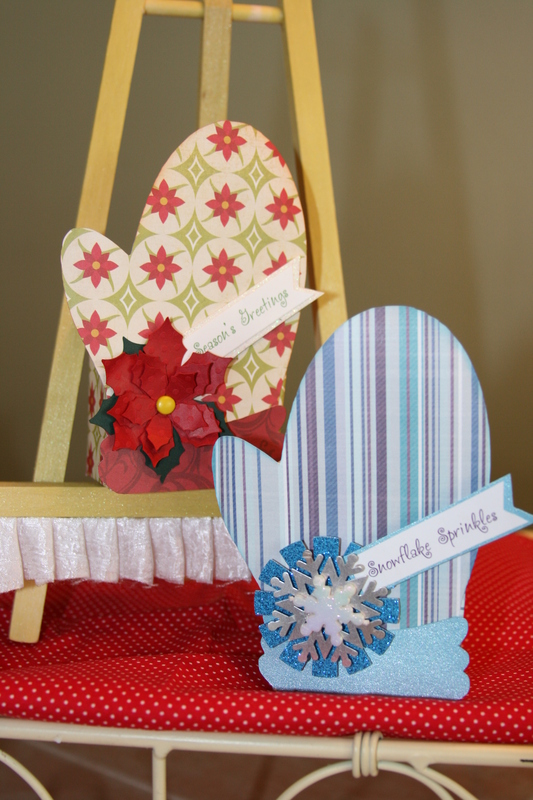 Looking forward to getting together and crafting. 2014 – Time to get organized! I hope everyone had a wonderful Christmas. 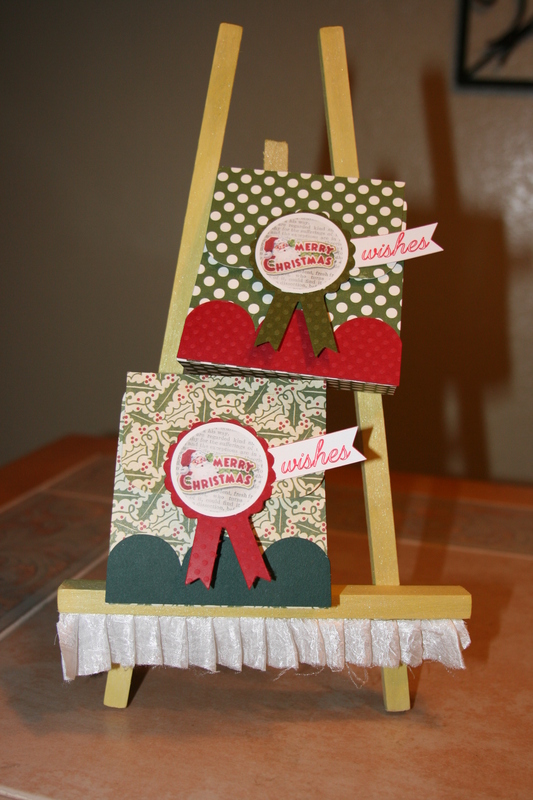 Those who were able to come to our Creative Christmas Package class last month had a great time. Hope everyone got to use all the cute packages you made, I sure did. As we begin a new year I’m sure we all want to get organized and stay on top of things, right? Well, I have the perfect project to help you do just that! 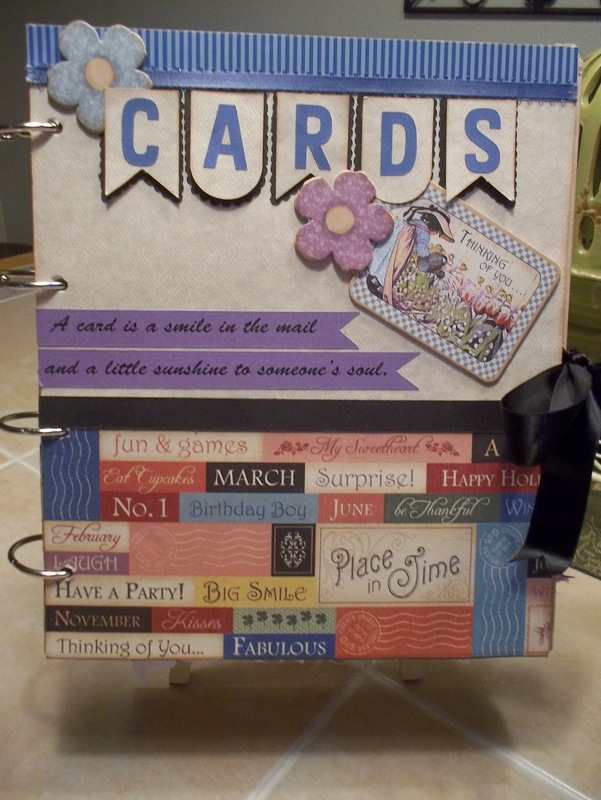 Come to the February class and make a monthly card organizer album so you can have all of those greeting cards right at your fingertips ready to send. 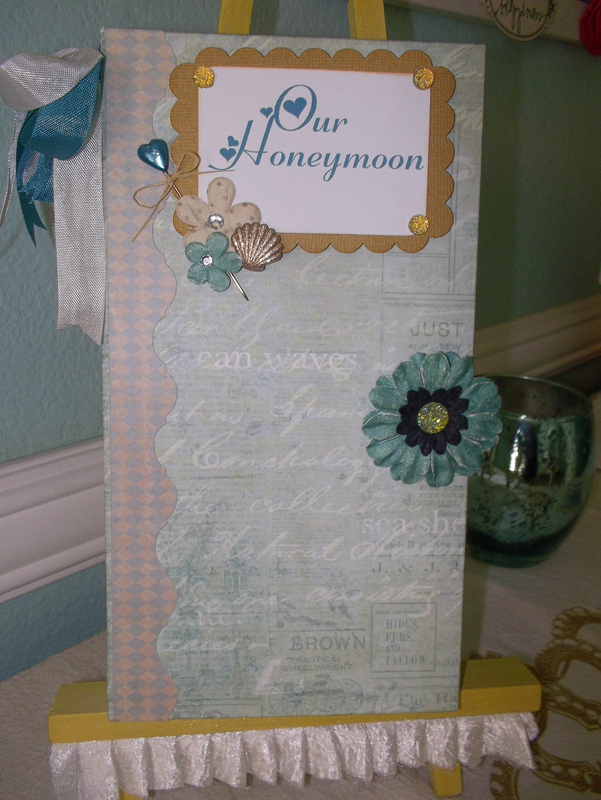 Using Tim Holtz, A Place in Time collection, the album is an 8×10 chipboard ring binder. 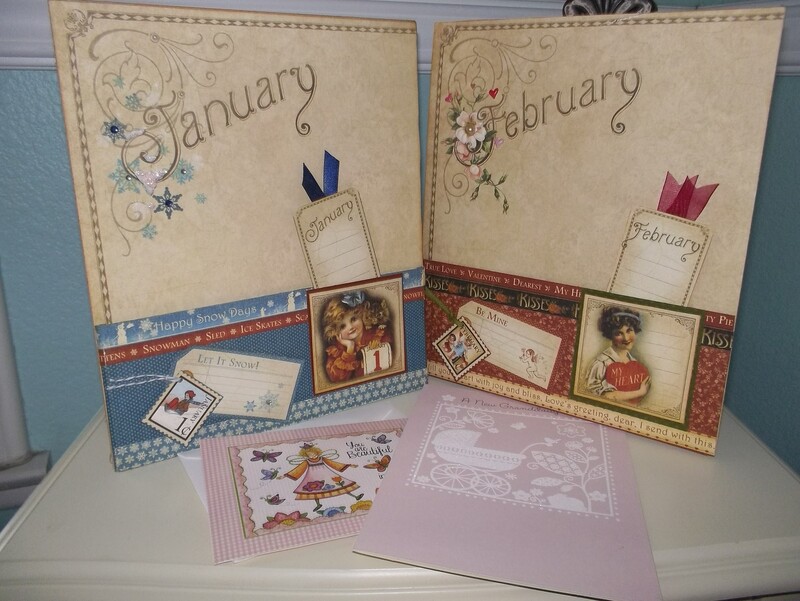 Each month has its own unique themed paper along with a nice sized pocket to hold that months cards (along with a few embellishments of course). 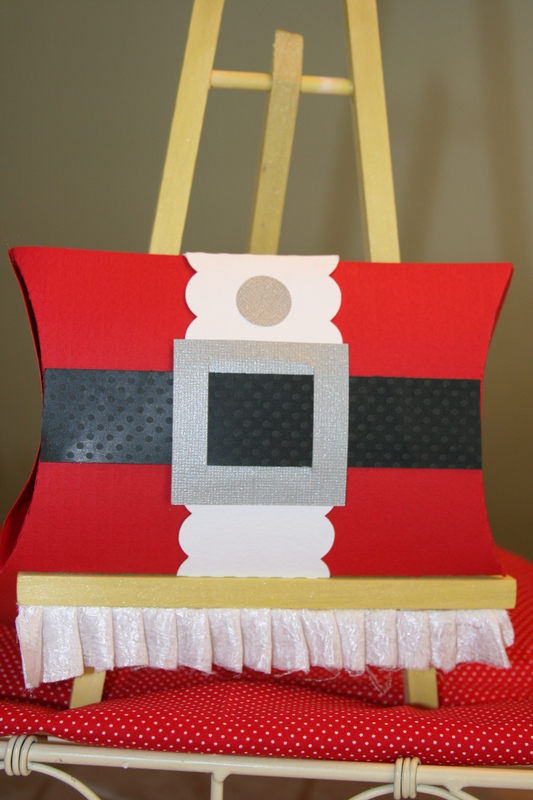 It’s a quick and easy project that I’m sure you’ll find very useful. So come join me and let’s get organized and avoid the embarrassment of having to send a “belated” card again. 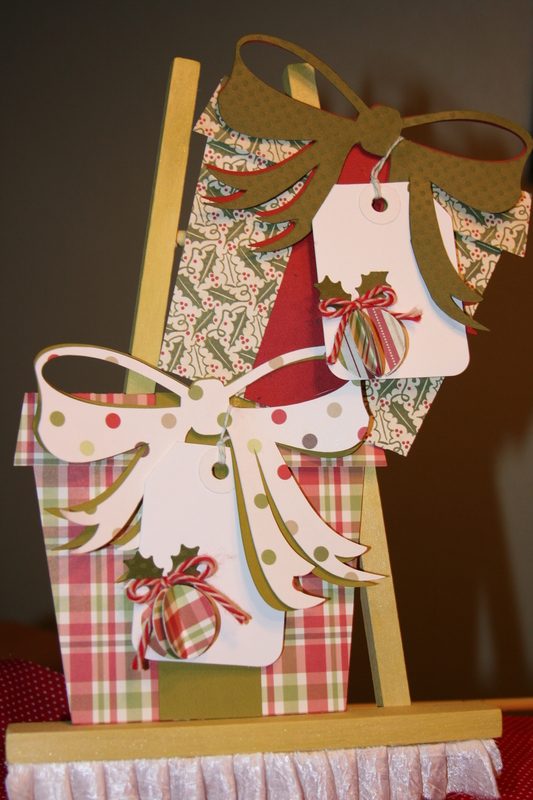 I’m getting excited and for the “Lets Wrap Things Up” class. I thought I would post some pictures of the projects we will be making just to get those of you who signed up a little excited for the Christmas Season. 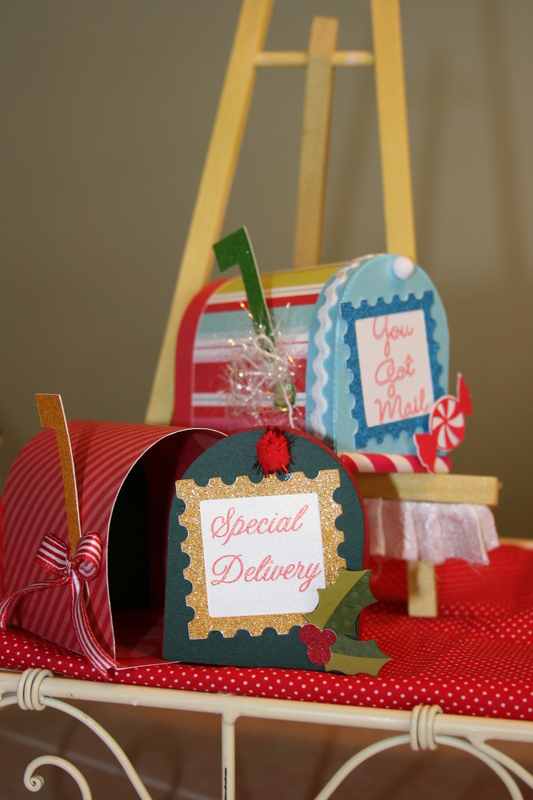 Mail boxes you can fill with something special for that someone special. 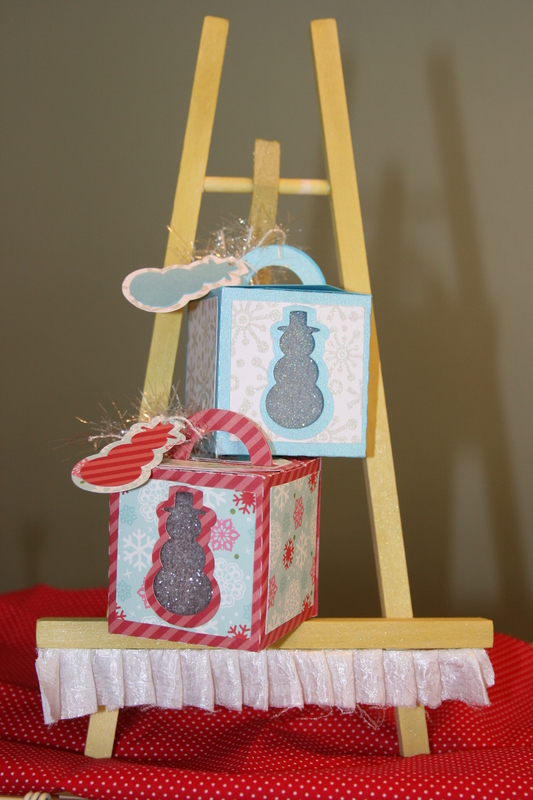 Cute snowman boxes for cute little gifts. 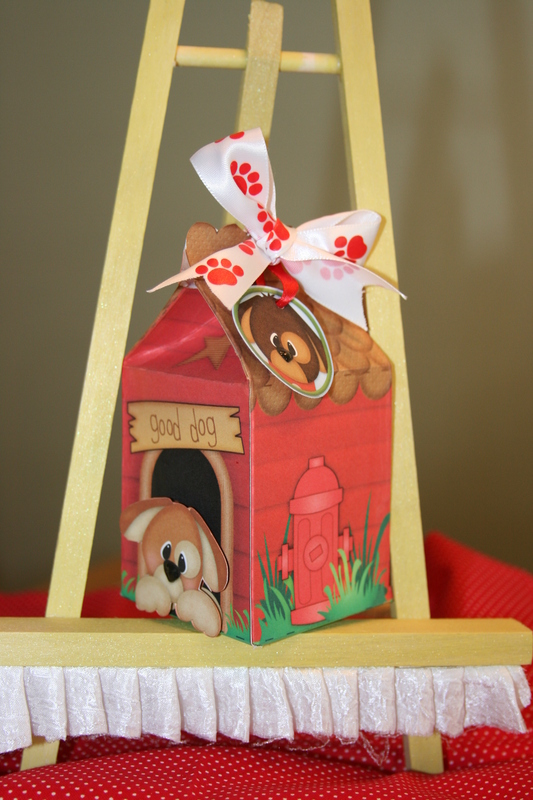 Little treats for the furry friends on your list. 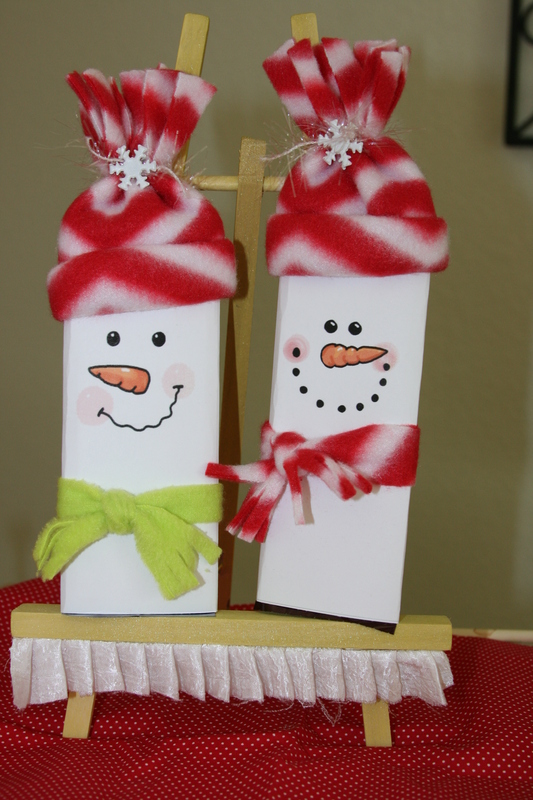 Frosty The Snowman Hershey candy bar wrappers. 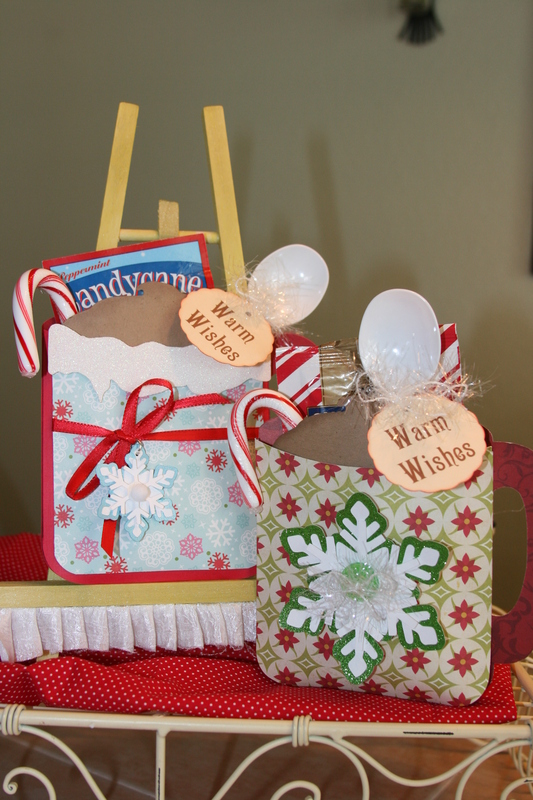 Little candy wrapper that holds a little bag with a few little sweet treats. 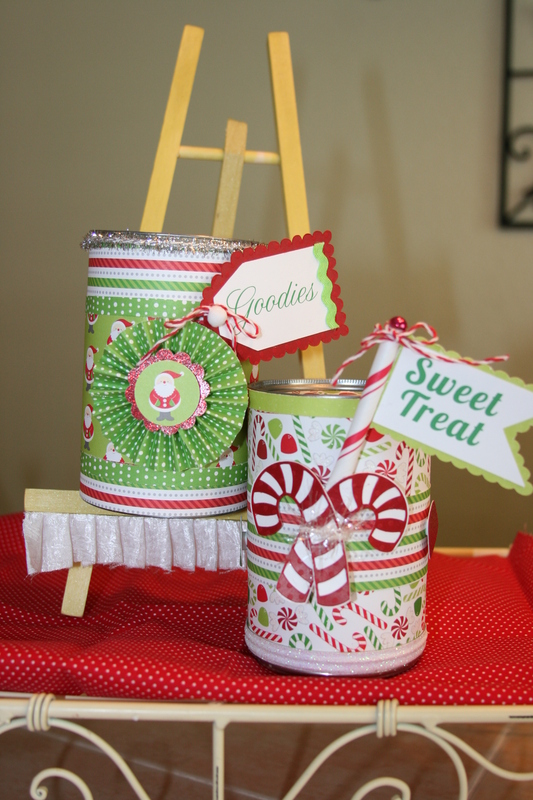 Pop top cans filled with sweet treats. Big mug of hot cocoa with candy cane & spoon.